The Chalo Nitka Frontier Days Festival and Ranch Rodeo started out as a Professional Rodeo Cowboy Association rodeo in the early sixties, with the help of the Silver Spurs Club. 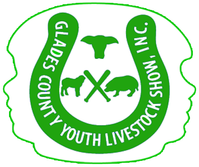 Tommy Bronson, Billy Peeples and Fred Montsdeoca were instrumental in getting the Glades County Youth Livestock show up and running. The organization was chartered in 1962. With the help of Glades County Cattlemen's Association, they started organizing the annual rodeo as a fundraiser for Youth Livestock. In 1986 the annual Chalo Nitka rodeo became a Ranch Rodeo, giving the cowboys and cowgirls from area ranches the opportunity to compete. Each team competes for the challenge of being the "Best of the Best." Wild animal events prove to be the most popular for cowboys and attendees.